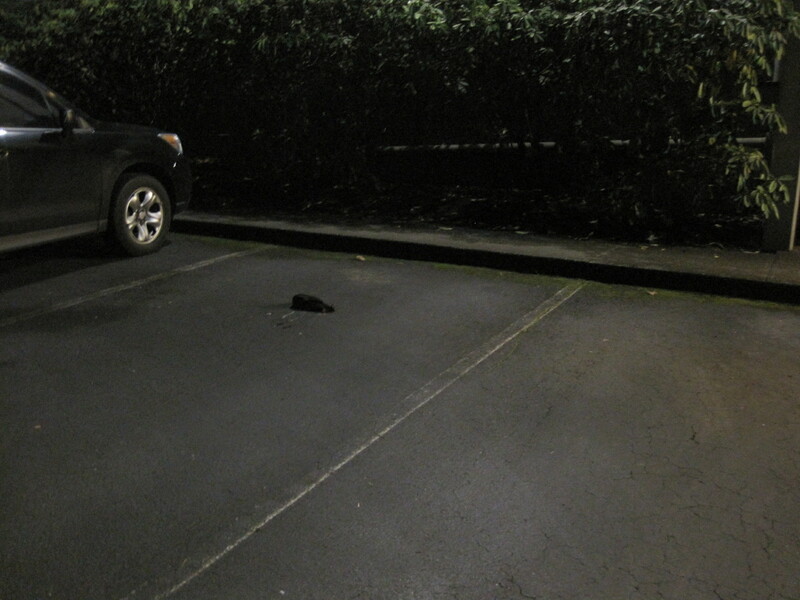 Yesterday when we went to leave the office I am sad to report a poor crow soul was found laying in a parking spot. 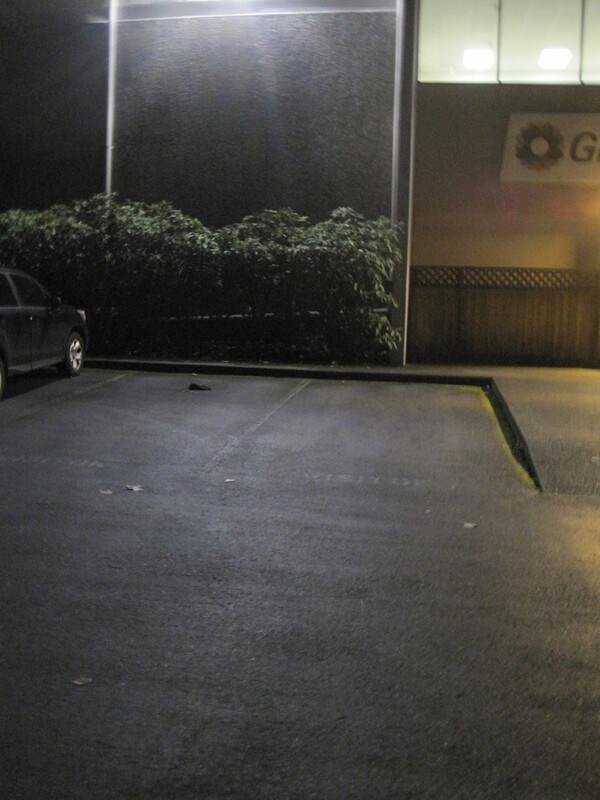 It had grown completely dark and the usual murder that flocked around our building had been gone for about a half hour. I have to assume this happened right at dusk because one of my co-workers was parked in that spot until about an hour earlier. I have often been asked and myself wondered if there were mid-flight crashes when a huge flock of birds fly together. 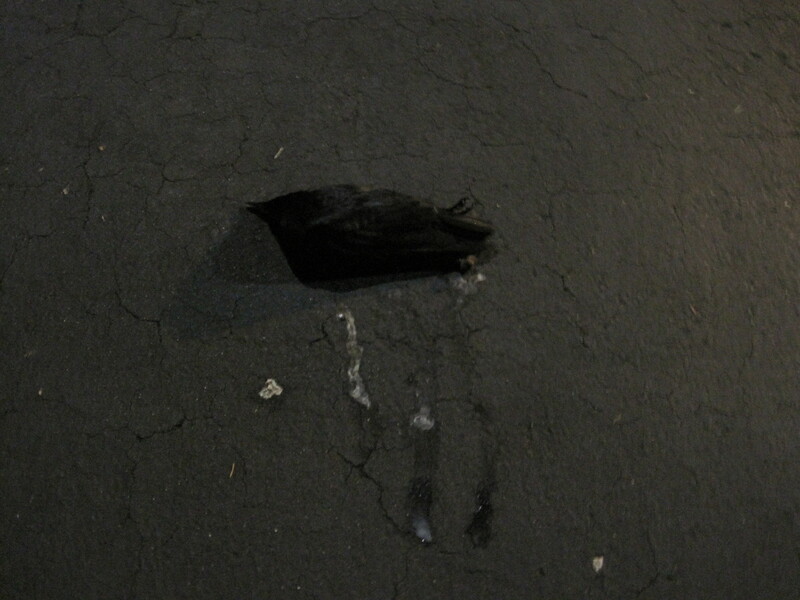 This crow probably is a fatality of a crash. From how he looks I am going to assume he was somehow thrown off course and struck the side of the building. See how in the top picture the flock hangs out along the edge? Perhaps he was coming in for a landing and was bumped or diverted to miss another bird. Then he struck the cement wall. The other cause is a mid flight crash. Wonder if there is another bird injured or laying dead close by? We will never know why but we can see it does happen. Thank goodness it must be very rare and not a common event. Watching and documenting nature isn’t all flowers and baby crows. It also includes reporting on the sad things like death, injury and misguided cruelty from humans or other birds/animals.